Come join Susan each month and discover Mug Rug Mania! We will be making a mug rug each month from the book "Learn to Make Quilted Mug Rugs". We will offer a kit each month ($7.99/ea) that you can complete in class. Susan will also offer tips and ideas to help you create unique and fun projects. 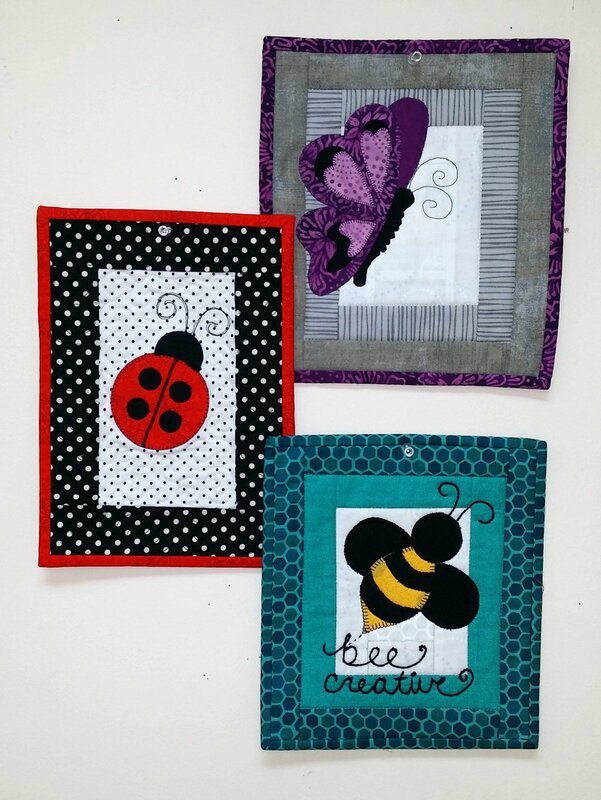 Please note that the mug rug kits are only available in packages of 3 (the first quarter includes a butterfly, ladybug and bee as pictured).